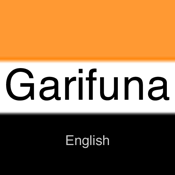 The Garifuna-English Translation Dictionary Mobile App translates words between Garifuna and English and visa-versa. Thousands of traditional and contemporary words have been compiled for over twenty years by one of the most trusted Garifuna teachers. Now, for the first time in history, this unique reference brings an easy way to learn and stay abreast of the Garifuna language. Parents, children, students, professionals and the general public will find the Garifuna Dictionary to be an indispensable tool to access the hidden gems of this secretly kept language. The Garifuna Language was proclaimed by United Nations Educational, Scientific and Cultural Organization (UNESCO) as a Masterpiece of the Oral and Intangible Heritage of Humanity on 5/18/01. Support, preserve, promote and give full recognition to the Garifuna Language by downloading the Garifuna Dictionary Mobile App.